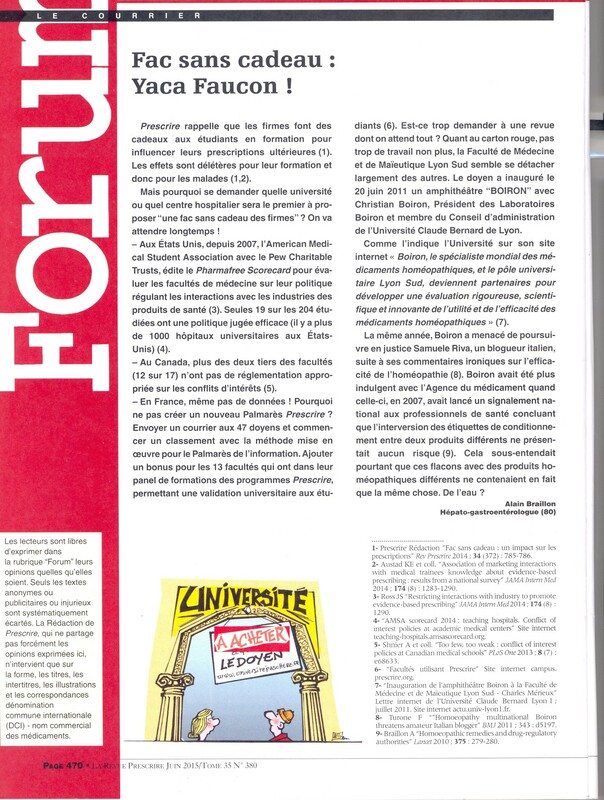 24 Feb 2011 – Public hearing at the French Parliament about the tragic drama of the benfluorex/Mediator scandal. Senior consultant (tenured) sacked from Amiens University Hospital by the Dept. of Health which overturned the advice of the National Statutory Committee. Tenured senior consultant in public health and head of the regional body for the assessment of professional practice, I was sacked in September 2010 for whistleblowing by the French Dept of Health against the vote of more than 70% of the members of the National Statutory Committee. 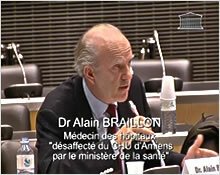 On May 10, 2012, the Paris Administrative Court cancelled the decision of the Ministry of Health as the sacking had been illegal. Meanwhile my boss, Pr Gérard Dubois, a professor of public health at Amiens University Hospital, was sued for libel by the French tobacconists’ union because he stated on TV that cigarettes kill two smokers a year for every tobacconist. The French tobacconists’ lost the case but even went before the Court of Appeal which rejected their claim for damages in November 2011. The tobacco industry’s influence on Sarkozy’s government and French administration has been deadly: tobacco sales levelling off between 2004 and 2011 and prevalence of daily smoking rising from 27.1 % in 2005 to 29.1 in 2010. Such trends are an exception among developed countries, where sales and use of tobacco are falling steadily. Frankreich: Gehört die Volksgesundheit an den Schandpfahl ? Francia: ¿La sanidad pública en la picota? Surrogate end points and colorectal cancer screening? Gastroenterology. 2012 ;142:e29. Framework convention on Tobacco Control. In search of outcomes. The R2P. Health Policy 2011;103:98-9. Dietary modification to prevent hepatocellular carcinoma is not low-hanging fruit Gastroenterology. 2014 ;147:954-6. Bridging the gap between research and practice American Journal of Medicine 2011;124:e15.